There's no doubt that the way our hair looks can make a huge difference in how we feel and because of that, it's important to take care of it. 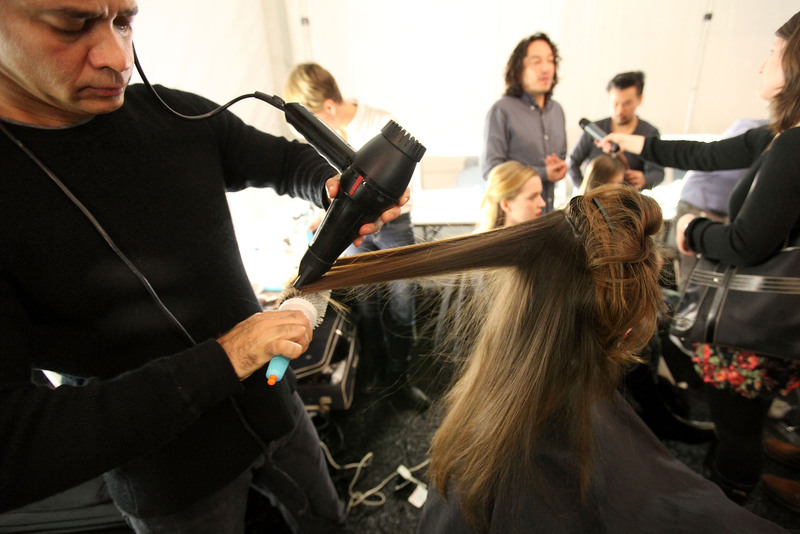 And let's be real — for some of us, air drying simply isn't an option. But there if there is one thing you should never do while styling your hair, it's using heat stylers without a heat protectant. For those of us who highlight, color and heat style on a regular basis, it's even more important to make sure that you're protecting your hair from further damage. When you use hairdryers and other styling tools, the hot temperatures cause the moisture to evaporate from your hair, leaving it very dry and more prone to breakage and split ends. Michael Duenes, owner of Hair Room Service in New York explained in a New Beauty article that heat protectant spray adds moisture to your hair and creates a protective barrier over the hair cuticle, preventing the natural moisture from evaporating and allowing your hair to keep it's natural shine. Since there seems to be so many options on the shelves, it's natural to be skeptical of the need for products like heat protectants, but over time it truly does make a difference! This one happens to be my product of choice and basically it's amazing because I can skip my blowout cream when I use it! For the warmer months ahead, this is 2-in-1 UV and heat protectant is the perfect choice! Finally, for those of us ballin' on a budget, this spray packs a powerful punch and is an absolute steal.